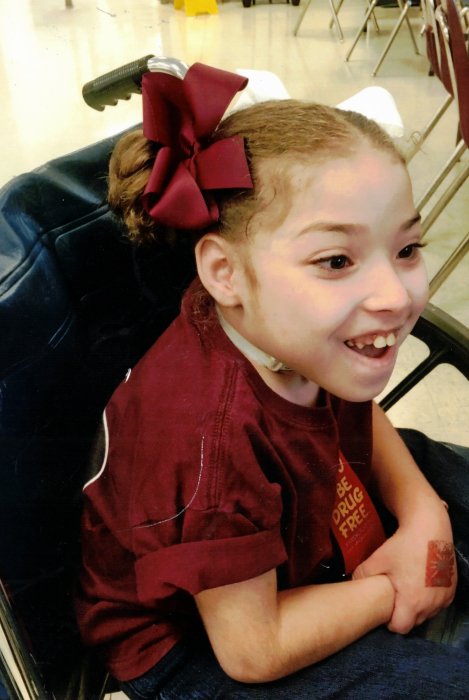 Obituary for Jordan Denise Huff | Jones Funeral Home, Inc.
Jordan Denise Huff, age 9, of Crossett, AR passed away Thursday, May 10, 2018. She was born on November 08, 2008. She enjoyed playing with blocks, bouncing on her trampoline, coloring, helping in the kitchen and loved to listen to country music. Jordan never met a stranger. Even when sick, she wore a smile and brightened everyone’s day. She is preceded in death by one grandfather, Leslie Buddy Huff; one great-grandfather, Johnny Wilcox and two cousins, Misty Bridges and Ricky Evans. Survivors include her parents, Leslie Denise Huff and Joshua David King; one brother, Jayden King; two sisters, Rikki King and Ryleigh King; five grandparents, Ralph King, Sr., Claudine Huff, Terry and Holly Bond and Rita Coleman; two great grandparents, Brenda and Raymond Kelley and Leone Wilcox; five uncles, Blake Rhodes, Ralph King, Jr., Cody Stevens, Shane McDonald and Michael Vorhease; five aunts, Carlena Helms, Josie Kelley, Holli Baldwin, Chris Carter and Ashley Bond and a host of cousins, family and friends. Funeral services are 10:00AM on Monday, May 14, 2018 at Jones Funeral Home Chapel with Pastor Chryl Slocum officiating. Burial will be at Crossroads Cemetery. Pallbearers are Joshua King, Blake Rhodes, Ralph King, Jr., Jake King and Zach Marshal and Dylan Kelley. Visitation is from 1-3:00P.M. on Sunday, May 13, 2018 in the chapel.